Save Money, Time and the Environment with Filter Savings Club! Free One Month Trial! Do you have one of those really popular but horribly costly and inconvenient filtered water pitchers in your home? If so, I encourage you to check out Filter Savings Club and start saving money and time today! People are paying too much for their jug filters. We hate the taste of tap water just as much as the next guy, that's why we always use filters. But why do we have to pay $10 bucks for a replacement filter when it only costs a few bucks to make? Because there has never been an alternative. Don't get us started on all the unnecessary gizmos on your jug. There are a bunch of companies trying to sell you pitchers for 50 bucks with Intel core processors that remind you to change the filter, and guess what, you still always forget to change your filter. We partnered with a kick *** manufacturer to produce high quality activated carbon filters that are third party tested to the same standards as all the other guys. At Filter Savings Club we don't have 15 levels of management, produce million dollar commercials, or pay top dollar for the top shelf at your local store. We sell directly to you, the consumer, and give you most of the savings (we gotta make a dollar too). And guess who will never have to remember to buy a filter again? You! We send you replacement filters in the mail every time you need one. That just happened. In our home, we drink hundreds of ounces of water a day, so having filtered water is an absolute must! We currently have a water filter built into our fridge, but the cartridges for it can be really expensive and inconvenient to locate, which leaves us without filtered water until we buy a new one. In the past, we owned one of the popular water filter jugs, but again we found it inconvenient and pricey to replace the filters. 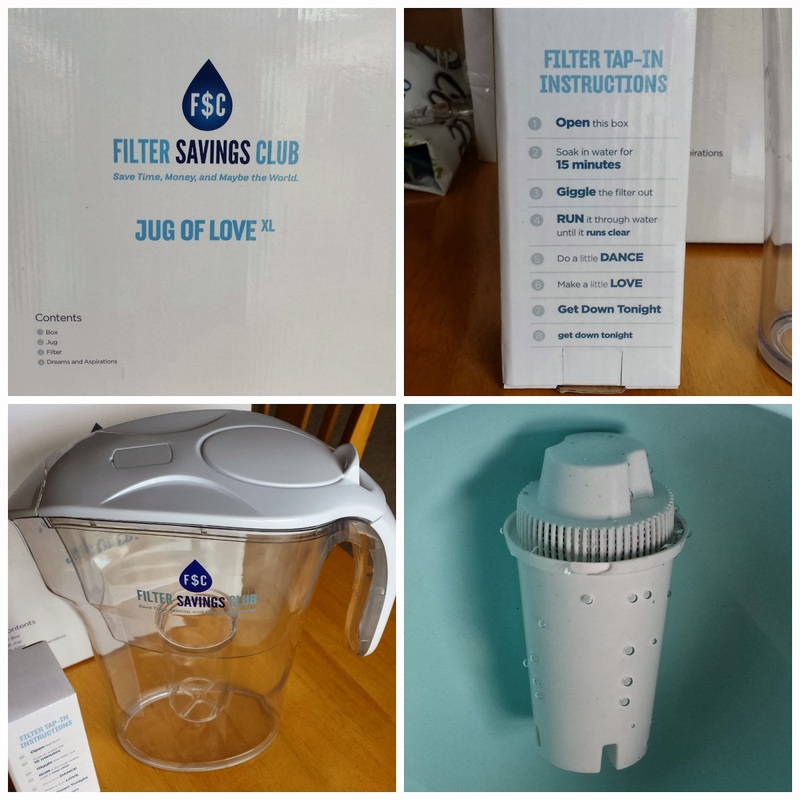 When I was offered the chance to try out Filter Savings Club I was thrilled! It seemed like someone finally figured out a way to provide people with the filtered water they want and need, but without all the high costs of filters and need to go to the store (sometimes multiple ones) to find the right one. Cost - This service is extremely affordable! For just $4.50 a month I receive one replacement filter delivered to my doorstep, shipping and handling included! Convenient - The filters are delivered right to your doorstep, so no need to go out to the store. Eco-Friendly - No more filling your trashcans and local landfills with plastic water bottles! Quality - The jug is very sturdy and easy to fill and the filters fit perfectly into it. Flexible - There are three different filter subscription options so you can choose which fits your family's water filtration needs. Charity - You can easily donate a small amount every month to help those across the world who are in desperate need of clean water. Personally, we really like this product and service! The pitcher holds a good amount of water and the filters provide clean water for our family. I highly recommend this service for you or someone you know! This would even make a great gift for someone! Learn More: You can learn more about the Filter Savings Club on their website. Free Trial: Visit their website and try one month filter subscription free! Just enter the code FSC1month at checkout. This is so true about the filters for these water filters! 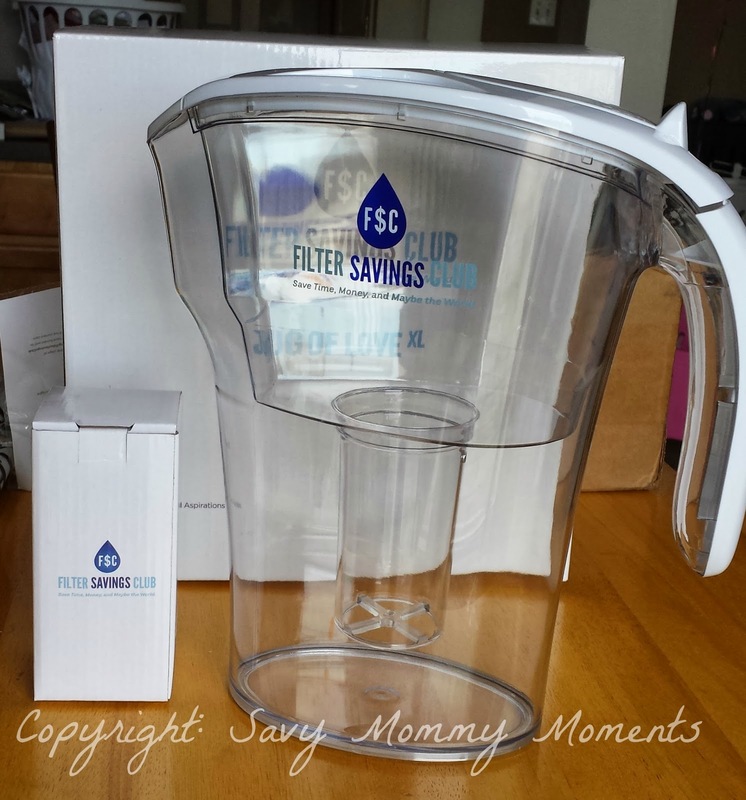 My family loves water and this will save us a lot of money what a great deal and shipping included! We keep filtered water in the fridge but the filters are so expensive ! May have to look into this. Wow, this looks like a great deal. Thank you for sharing this review.